SAMS Kibria was born on May 1, 1931. He obtained BA Honours in economics from Dhaka University in 1952 and completed MA in the subsequent year. He secured first class first position in both honours and master's. 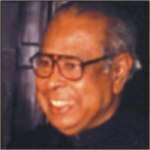 Kibria was Bangladesh's finance minister during Awami League's rule from 1996 to 2001. He got elected as a Member of Parliament for the first time in 2001 from Habiganj-3 constituency. On completion of education life, Kibria joined the foreign service by securing first position in Pakistan Central Superior Service examinations in 1954. He was a director at Pakistan's foreign ministry and also served as Pakistan's envoy to USA, India, Egypt and Indonesia during the period between 1957 and 1970. He disassociated himself from the Pakistan government during Bangladesh's Liberation War and left Pakistani embassy in Washington on August 4, 1971. During the Liberation War he worked for mobilising public opinion in favour of Bangladesh's independence in the US. He used to edit a news bulletin depicting the war news. After independence, Kibria was called back home and given the responsibility of director general of political wing of the foreign ministry. He became Bangladesh's foreign secretary on March 11, 1972. He was appointed Bangladesh's ambassador and permanent representative to the United Nations in 1976. He discharged the responsibility of foreign secretary for the second stint in 1978 and in the same year he also took over as the executive secretary of the UN Economic and Social Commission for Asia and Pacific (Escap). SAMS Kibria joined AL as a member of its advisory council in 1992. He became political advisor to Sheikh Hasina in 1994. Besides, he served as the head of the central election conducting committee of AL. He has left behind a son and a daughter. His wife Asma Kibria is a noted painter.